I wrote this story for the Houston Chronicle. It was published on Oct. 23, 2006. (See original version). HAVANA – Nothing blew up. No one took to the streets. The government didn’t fall. Three months after Fidel Castro was forced to turn over power to his younger brother, Raul, peace reigns in Cuba. But the Cold War-era battle over Cuba, a nation that has antagonized Washington for more than a half-century, is far from over. And the fate of the island, off limits to most American travelers for decades, remains uncertain. 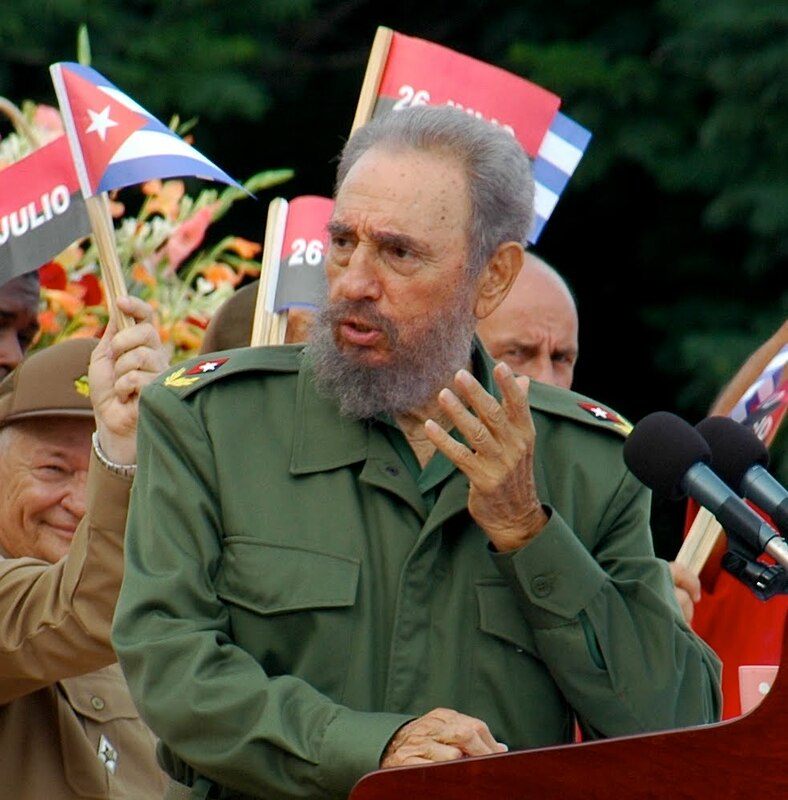 The comandante, of course, is Fidel Castro, who took power in 1959 and has defied 10 consecutive American presidents. Cuban Foreign Minister Felipe Perez Roque said he expects Castro to return to power, perhaps on Dec. 2 when Cubans plan a belated 80th birthday party for him. But many U.S. officials question whether he’ll ever resume his full duties, and some experts speculate that he has terminal cancer. Details of Castro’s health remain a Cuban state secret. Cuban officials announced July 31 that he was undergoing emergency surgery for intestinal bleeding. But the transition is looking more like a socialist succession, some say. And it may be difficult for Bush to convince Cubans there’s a better alternative because his options are limited, said Philip Peters, a Cuba expert at the Lexington Institute in Virginia. A 1996 U.S. law known as Helms-Burton prohibits the president from easing economic sanctions against Cuba while either Castro brother is in power. So even if Bush wanted to try something different — say, lift the travel ban to Cuba and flood the island with American tourists, money and democratic ideals — he’d be out of luck, Peters said. Then there’s the billboard. At night, the U.S. government’s Havana headquarters becomes a huge message board, as red letters scroll across the façade. Messages include headlines, famous quotes by such figures as Martin Luther King Jr., and sports news, including the latest on the Houston Astros. It’s a way to reach out to the Cuban people, U.S. officials say. Miffed at such meddling, Cuban officials this year erected 148 giant flag poles — some of them 100 feet tall — to try to block the board from view. Workers also put up signs telling Cubans that Bush wants to take away everything they have — their homes, their free schooling, free medical care. Cubans take these warnings seriously, said Marta Rojas, a Havana journalist who has followed the revolution since the early 1950s. 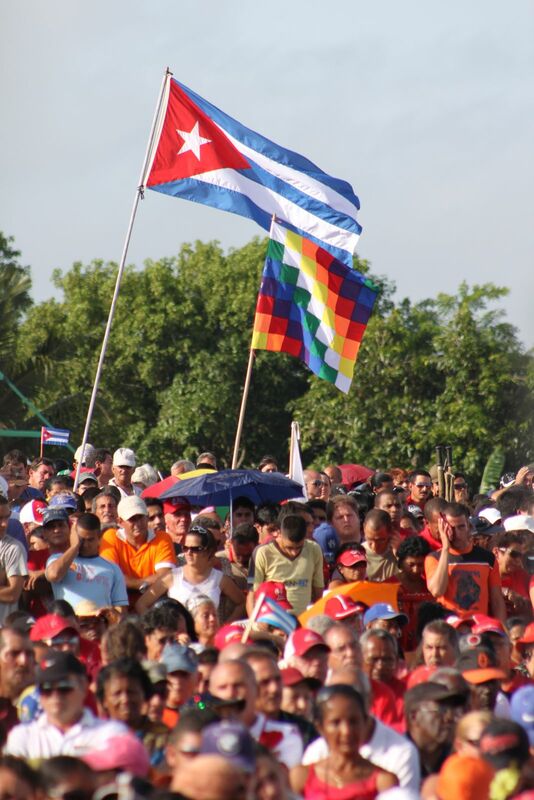 Cubans fear Bush may even order an invasion, and Communist Party loyalists are on heightened alert. Defenders of the revolution are stationed on every block to monitor suspicious activities. Plainclothes guards bolster hotels, regarded as potential military targets. And police monitor the roadways, stopping vehicles at checkpoints day and night. U.S. Commerce Secretary Carlos Gutierrez, who fled Cuba with his parents in 1960 at age 6, said America will help Cubans try to build a democracy. But there are no plans to invade, he said in an interview. “President Bush recognizes that Cuba belongs to the Cuban people and that the future of Cuba is in the hands of Cubans,” he said. But don’t expect any political changes anytime soon, said Irving Horowitz, co-editor of the book Cuban Communism. So far, the Cuban government seems to be running smoothly, ex-CIA analyst Brian Latell said. “The Cuban revolution is surviving. It’s surviving Fidel,” said Latell, author of After Fidel: The Inside Story of Castro’s Regime and Cuba’s Next Leader. But once Fidel Castro dies, his brother, now 75, will be under great pressure to improve people’s lives, Latell said. U.S. officials are also expected to step up the pressure. But their hostility only makes the socialist government more radical, said Wayne Smith, the top U.S. diplomat in Havana during the Carter administration. Landau agrees and expects the grudge match over the beguiling island to continue, at least while Bush is in office. “It’s an unsolved and unrelenting low-level backache for the United States, and it’s not going to go away,” he said. Chronicle reporters Patty Reinert and Dudley Althaus contributed to this report; Althaus was in Cuba in September and Eaton was there in July.